We are Manufacturer, Supplier & Exporter of Screeners For Animal, Poultry, Cattle Feed Plants and our setup is situated in Miraj, Sangli, Maharashtra, India. 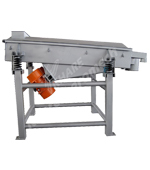 Screeners are used in screening the material before feeding to hammer mill or before bagging. 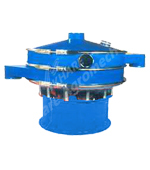 We manufacture two types of screeners 1) Gyro screen, 2) Vibro screen.